Easysportbet is a leader in sports betting brokerage. We are the ideal partner, whether you are a professional punter or casual bettor in the management of your betting activity. You get a secure access to bet through different betting platforms, offering you all the choice you need. Are you a winning punter in the long term? You are welcome to sign up at Easysportbet! We offer the lowest commissions of the market, giving you the best chance to become a winning player. Quick and secure deposits and withdrawals with the most reputable payment processors. Bet without limits and get the best odds available on the market (offplay and inplay). Quick and easy transfer of your funds from one platform to another, or to other users. 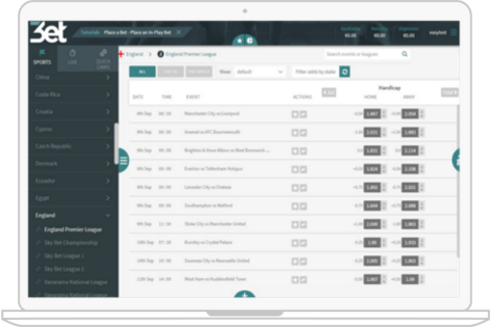 Manage your client portfolio on 3ET, and earn commissions on the betting activity of your players. A dedicated and competent customer service at your disposal to answer all your questions. We offer various secure betting platforms tailored to your needs and with the most competitive odds of the market (Betting Exchange & Sportsbook). 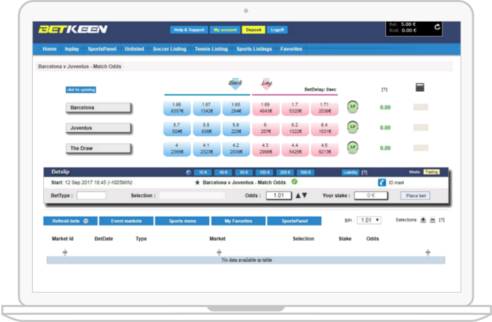 Betkeen is an exclusive and innovative Easysportbet product with the best payout rate of the market: a betting exchange platform shared between Easysportbet users, providing the same liquidity available at the greatest betting exchange platforms. Receive massive bonus during your losing periods. 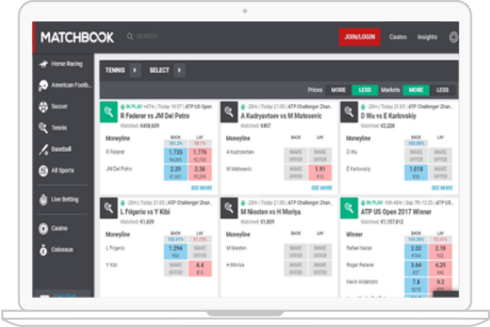 Bet on sports, play casino and poker on Matchbook platform, a leader in betting exchange. Take advantage of the best offplay betting opportunities. A platform offering excellent liquidity and the lowest commissions of the market. 3ET is a Sportsbook dedicated to professional bettors. 3ET’s offer is mainly focused on soccer and US sports, allowing you to bet on the main markets: 1X2, Asian Handicap and Totals (Over/Under). You get access to the best odds and highest betting limits. To provide a fast and efficient service, we offer various secure and reputable payment methods which you can use to deposit to your Easysportbet account and request withdrawals. Your funds are 100% secure and quickly accessible. All accounts provided by Easysportbet are only available in EUR (€). This includes your main account and your accounts on the different platforms available. Neteller, Skrill, visa / mastercard, bank Transfer and many other payment methods are available from the deposit and withdrawal sections of your Easysportbet account. Once your account is credited, you can easily transfer your funds to the various services available, and vice versa.